The first thing I thought when I walked into Bowley & Gallagher was; ‘its so Brighton!’. The first thing I thought when I walked into Bowley & Gallagher was; "its so Brighton!". Walking past their shop front, you’d be forgiven for thinking it was a funky art or stylish furniture shop. They look very different from a traditional Funeral Directors. I dropped in and met Pat Gallagher who has over 50 years experience in the business. He was welcoming and clearly passionate about what he does. He has a strong belief in moving with the times and putting the families they look after first. Bowley & Gallagher are an independent, family run Funeral Directors, which I love to hear. There are a lot of big corporates in Brighton and whilst the people that work for them are generally angels, their processes and strategy are not always aligned in favour of the client. Sadly in Brighton, independents in this business are few and far between which is surprising for this wonderful city of ours. Surely Brighton is the city of ‘go local, go independent’? It’s great to know that the arrival of Bowley & Gallagher assists in redressing the balance. Close by in Portslade we have Jefferies Independent Funeral Directors, together with Sussex Funerals who are also independent. In Hove, our independent funeral directors are Michelle Tanner and Bungards. And in Kemp Town, we have Wagstaffs. So it’s a struggle to find a genuinely independent funeral directors with a Brighton postcode. I’m glad that’s now changing. 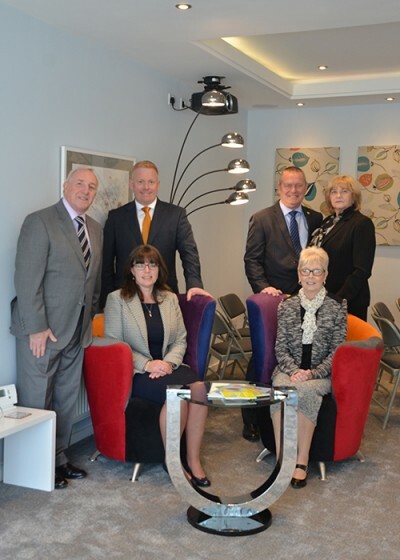 Apart from the décor, what really makes Bowley & Gallagher stand out, is that they offer the option of onsite funeral services. This is a first in Brighton! This may be good news for the nearly 50% of people who choose to have their service in a crematorium. I have taken services in crematoriums and chapels around the south east. Criticisms I have heard from people are of cold, drafty chapels; poor technology with crackling speakers; old TV screens that don’t work; pressured time slots; and perhaps the worst: a feeling like you’re on a conveyor belt, with previous mourners leaving as you arrive for your loved one’s funeral. 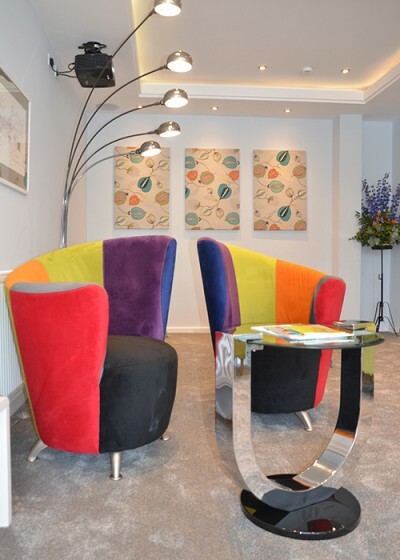 At Bowley & Gallagher their beautiful offices convert into a modern, attractive chapel with state-of-the-art music and lighting. The sound quality is great. They have capacity for around 25 to 30 people. They use the latest technology and a screen is lowered automatically from the ceiling. Families can play photos and even films of their loved ones on the screen. Everything is simply loaded onto a laptop and worked centrally. There is no pressure around timings for the service. And this is all cheaper than having a service at one of our local crematoriums. It’s great to see innovation like this happening in Brighton and I’d like to see more of it! Hopefully this is the beginning of a new trend. If you are looking for a local funeral directors, there are many reasons to choose Bowley & Gallagher. If you are in the position of having to make that decision, I’d recommend that ‘independent’ was top of your list of criteria! Choose local, choose independent. You will be glad that you did.